The true Isle of Skye Tour. Join us as we delve into the breathtaking Isle of Skye, spending two nights at our hostel in the beautiful and picturesque Kyleakin; from there we strike out on an adventure to explore some of the world’s most stunning landscapes. Where other tour companies can spend as little as 6 hours on the Isle of Skye, we spend a full 36 hours exploring this gem of a Hebridean Island. Unearth the history, embrace the Island, get out there and adventure! 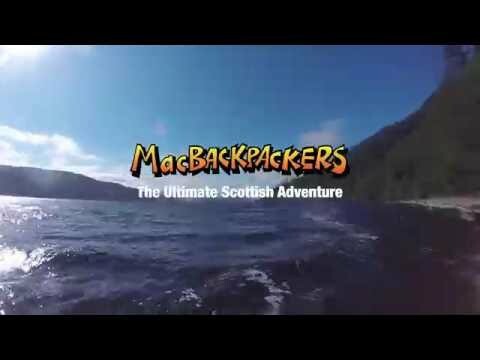 Jump aboard the MacBackpackers bus and explore one of Scotland’s most spectacular islands! Let our guides take you on an adventure of this magical Winged Isle. We depart Edinburgh in the morning and set off on our adventure, a full day of exploration and excitement ahead. We strike out into the Highlands seeking out spectacular scenery, clan rivalry and the odd monster. A full day's adventure lies ahead exploring the incredible Isle of Skye as we set off from Kyleakin around the island that has inspired countless artists and creators. Crammed with stunning vistas, breathtaking hikes and entrancing tales of warriors, monsters and faeries. Spend most of the day off the bus getting amongst it! We say goodbye to the misty isle and head south taking in views of the Nevis range and Britain’s highest mountain, Ben Nevis. We’ll discover the haunting beauty of Glen Coe and hear tales of clan massacres, the likes of which inspired George R.R. Martin's "Game of Thrones" series.